Website builders are perfect solutions for individuals and small businesses; the ability to create a website in less than a day and have it visible online is pretty impressive, wouldn’t you say? Previously, if any of us wanted a website, we’d be looking at hiring a web developer for the cost of thousands. It’s now possible to create a professional website in a matter of hours, for a fraction of the cost by using a website builder. One of the common issues I came across when researching and speaking to people about website builders was that there’s so many available. Wix’s website builder is probably one of the easiest and cleanest user experiences you’ll encounter. With revenue growth of 40% in 2018 alone, it’s one of the fastest growing site builders out there. Wix is a company, in my eyes, that considers everyone. Their drag and drop builder means you can literally build a site within minutes, easily moving and editing content and image blocks as you desire. However, if you’re not interested in customising your website because you don’t fancy it or don’t have time, Wix ADI is a perfect solution. When I look through Wix’s templates, they inspire me. 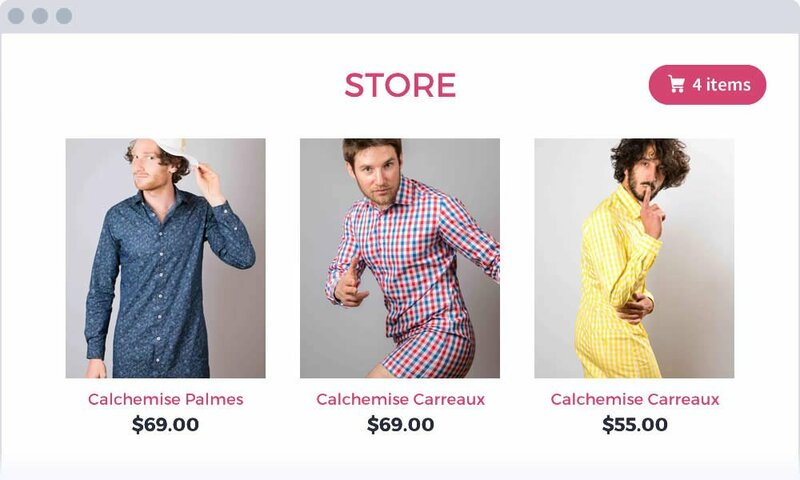 Wix screams clean, modern, and professional, and that really comes through in their website templates. Every template is mobile responsive, with the ability to edit your mobile site completely separately if you wish (more on this later). All of my experiences of Wix have been great; for me, they really focus on their customers, and that’s what I love. The ‘most basic’ plan start from just £3 per month, which is the average price of a sandwich! This plan displays Wix branded adverts, 1GB bandwidth, and 500MB storage. To be honest, this plan isn’t really worth investing in unless you want to experiment a little, or you’re creating a website for your own personal use and you don’t particularly want to drive any traffic to it. If you do want people to visit your site, the branded ads will likely turn people away as it doesn’t look very professional. If you want to grow your small business, or sell products/service online, you’ll want to choose one of Wix’s business plans. These give you a lot more options compared to the website plans, and ensure that the features available are tailored towards online stores and business needs. Although these plans are more pricey than the website ones, they are going to tick all the boxes. These may not be necessary for your first small business website, but are definitely worth considering as your business expands in size and demand. All of Wix’s plans can be upgraded or downgraded as time goes on. You won’t lose any of your website data, and it’s really easy (just a click of a button). The plans are simple and straightforward (even for someone like me). The classic drag and drop website builder is enhanced upon with Wix. If I had to rate Wix’s ease of use, I’d give it a solid 5 out of 5 because it is super easy to use. If you’ve never created a website before and are feeling a little anxious, Wix will put your mind to rest. The drag and drop builder is very intuitive, with helpful hints and tools to guide you along the way. When you first setup your website, Wix will ensure that your needs are met, and your site is created to your liking. It explains things very well, so if you’ve heard some terminology before like meta data and have no clue what it is, you’ll soon know the ins and outs without the slightest bit of trouble. Whether you’re fussed about features and design options (or not), you’ll be satisfied with Wix. It doesn’t push things onto you, but if you want to get your teeth stuck in, there’s plenty to experiment with. If you get something wrong (or change the whole colour theme accidentally), it’s really easy to put right. 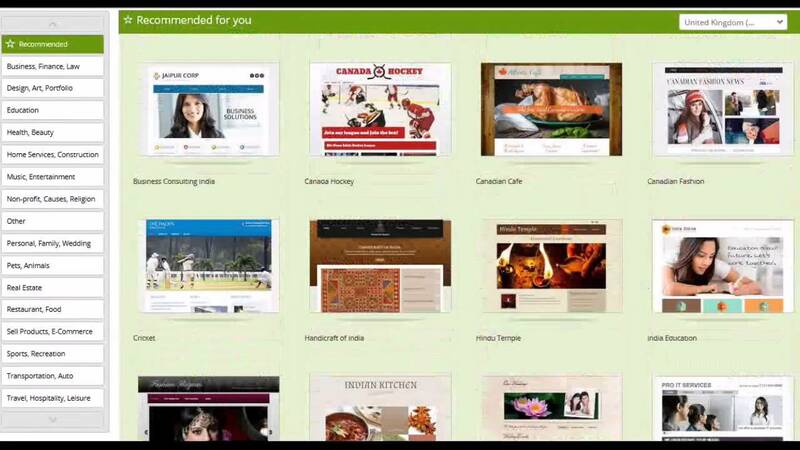 Wix has over 500 free themes to choose from. All of their themes come mobile ready which means you don’t have to create a separate mobile version of your website. Although, if you did want to change the mobile version of your site, you can do this separately as the option is there! Wix has an SEO wizard which I found really helpful. Like I said earlier, if you’ve never created a website before (or even if you have) this tool is so handy and easy to use. 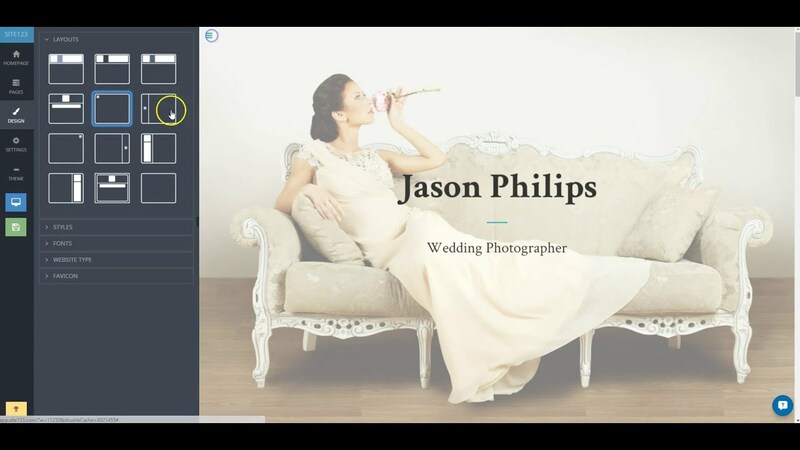 You’ll find lots of fun features like images, image filters, video templates, and even a blog tool. Many people, like me, create websites with a blog section. Though that can sound quite overwhelming, I promise you that creating a blog within a website with Wix is easier than counting to 3! This is a really important factor to me when I consider any web host or website builder. If your website isn’t fast, and is often down, who’s going to want to visit it? Also, if your website performs poorly, it can actually affect your SEO (which you definitely don’t want as a small business). I signed up to Wix and created a test website so that I could report back my findings to you. Over a 12 month period, my average website uptime was 99.98% which is actually better than some web hosts. Even when I added loads of features to my site, including images and videos, my website’s response time was a very respectable 568ms which is just over .5 of a second. • Their innovative drag and drop builder make them a great choice for beginners and pros alike. • eCommerce plans are available but come at a higher price ($20/month). SITE123 is a website builder designed for those of us who aren’t as tech savvy as the rest! The aim of the game is to get you online as quickly as possible, having a website up and running fast. SITE123 is different from traditional drag and drop web builders, using an editor system that allows users to choose from many exciting templates and then modify them from the settings panel, empowering users to make websites even faster! The system is ideal for individuals or small businesses who need a professional website online fast. SITE123 provides a user-friendly experience that doesn’t dumb down the effectiveness of their features and technology. Site123 probably has the simplest pricing plans in the website builder market. They have two clear plans which tailor towards beginners, and everyone else. When you sign up, you’ve got several options in terms of how long your plan contract is: 3 months, 12 months, 24 months, and 36 months. You can switch your plan at anytime throughout your contract. 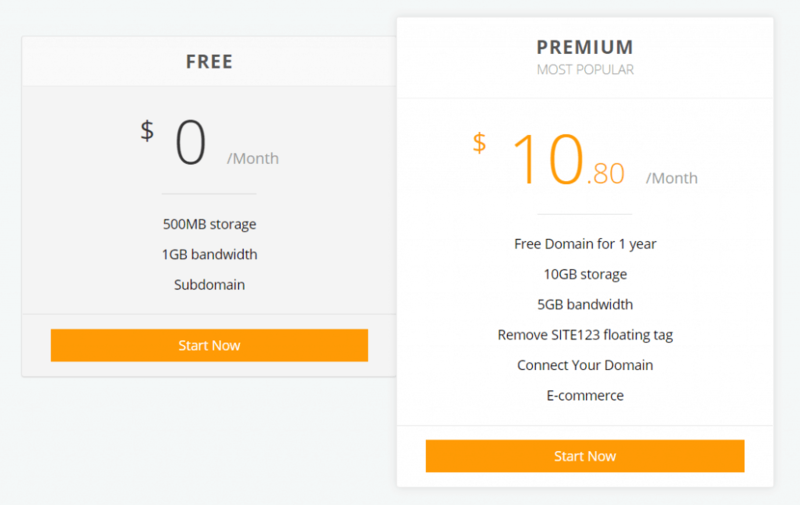 Site123’s free plan (honestly, it’s actually free), comes with 500MB storage, 1GB bandwidth, and a subdomain. Though the features may not suit everyone, it’s a great choice even for small businesses to begin with. Sometimes, and there’s no harm in doing so, people want to try a product before they buy. Site123’s free plan gives you this option so you can see if they’re the right choice for you. 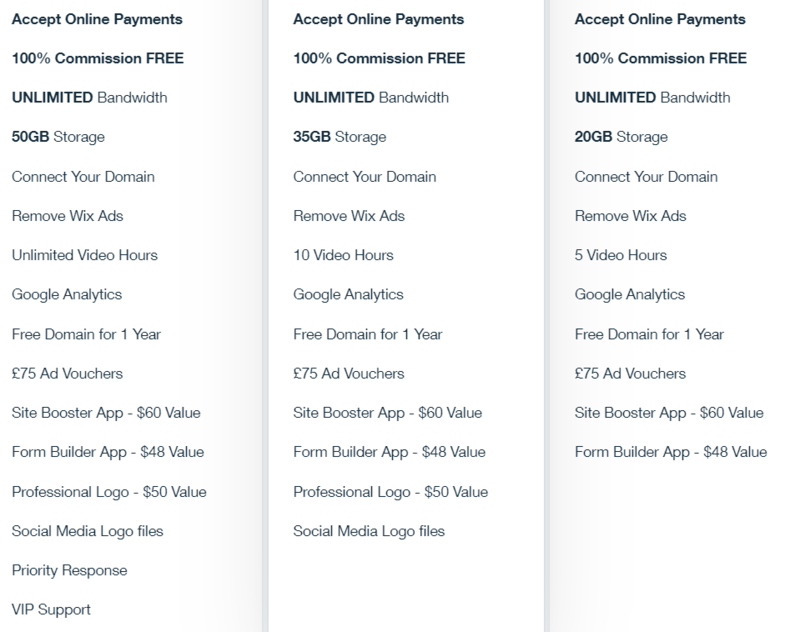 Once you’ve decided that Site123 is actually pretty awesome, their premium plan is only $10.80 per month. Now, that is more expensive than Wix’s recommended plan, but it still offers some pretty cool features. Website builders (like web hosting) isn’t just about the price. It’s important to weigh up what you want to use your website builder for, whether the features are right for you, and ultimately how confident you feel using it. What I found with Site123 in terms of usability was that they suited both beginners and experts. There’s something for everyone, such as the simplicity for beginners (or those that just want to create something without really thinking too much). But, if you want to get a bit more hands on, advanced users can certainly get involved. You can customise pages and alter the design without just changing some text boxes or colour themes. Though the point of a website builder is to make life easier, I know some users like experimenting and there’s certainly nothing wrong with that. When you decide to sign up to Site123, you’ll be asked a series of questions (3 to be exact) about the type of website you want to create. This allows Site123’s intuitive technology to create a basic design for you so you can edit your content and go live within minutes. There’s also hundreds of templates to look through too. Everything from a basic website to art portfolio, cafes/restaurants to online shops. It’s a really clever platform and something that I will likely spend even more time experimenting with in the future. I do think speed and performance are a good measure as to whether a website builder is going to be good in the long term. 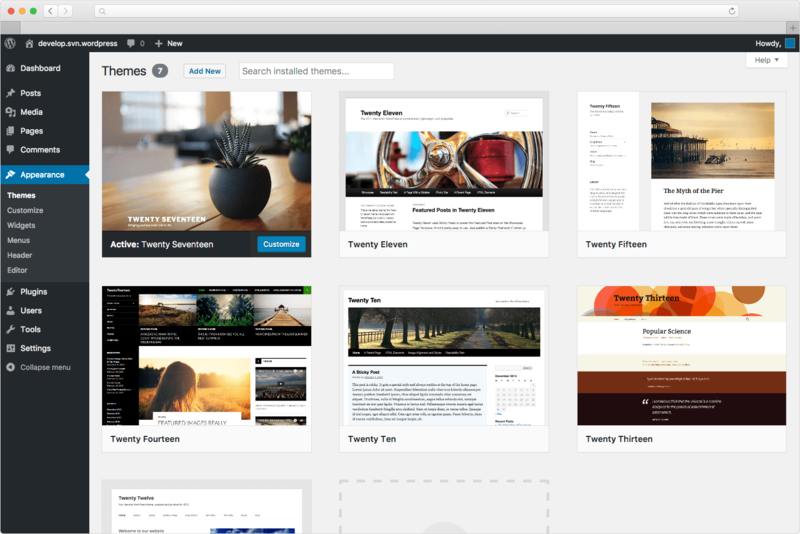 Weebly is a website builder that truly brings all aspects of a website together. Integrating templates, eCommerce, and marketing, all of their functions work seamlessly side by side. With the wide range of pricing plans, you’ll struggle NOT to find something that suits you. I like Weebly because they offer something for everyone. They’ve placed themselves snug in the middle of the market; not too expensive, a wide range of features, and simple to get to grips with. 0.4% of all websites use Weebly, but to be honest I’d expect more. Their analytics feature is something which really impresses me. Being able to monitor the traffic going to your website and using that data to further cash in on those figures is quite something. 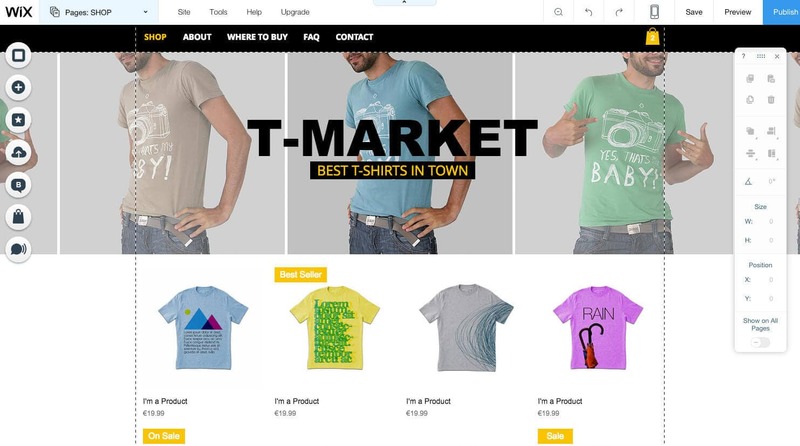 Their all-inclusive approach makes blogging or running an online store easy. Understandably, this type of model doesn’t suit everyone, so that’s up to you to decide if it’s right for your needs. SiteBuilder has a lot of experience in it’s market, prioritising ease of use and user experience for it’s customers. Recommending SiteBuilder for a specific purpose is quite difficult as they really are a decent all-rounder. 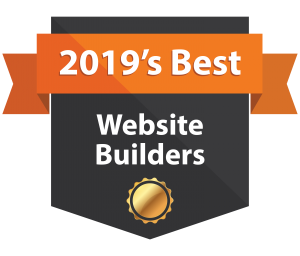 If you’re looking for a solid website builder for a new blog your starting, or even an eCommerce store, you won’t be disappointed. When I’ve looked at specific website platforms for eCommerce, I’ve found the lack of templates a little off putting. However, SiteBuilder restored my faith! 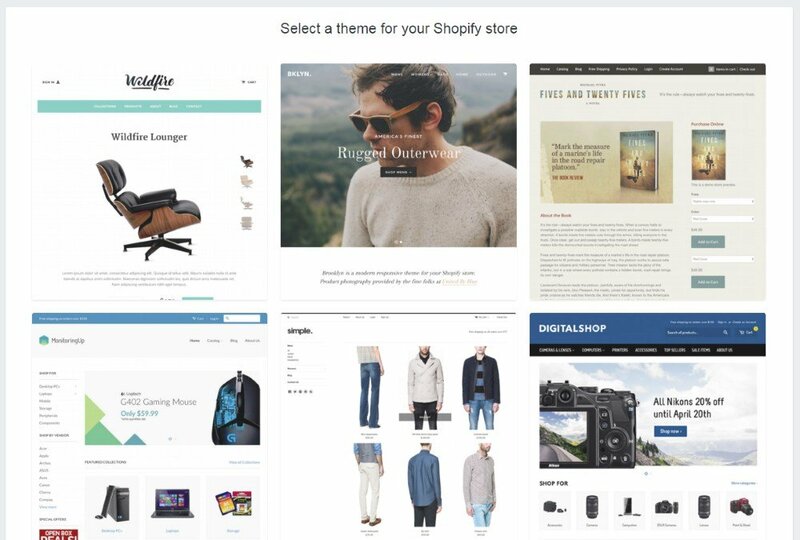 They have thousands of free templates (yes, free), including eCommerce stores. Once you’ve created your online store, you can then enjoy all of their amazing features. When you start selling online, or even if you just want to generate traffic to your website, SEO is really important. SiteBuilder’s SEO tools are simple to use and actually work. You can monitor your site’s performance and continue to improve and develop your website, the way it should be. Offering a great selection of features at an affordable price is what SiteBuilder do best. 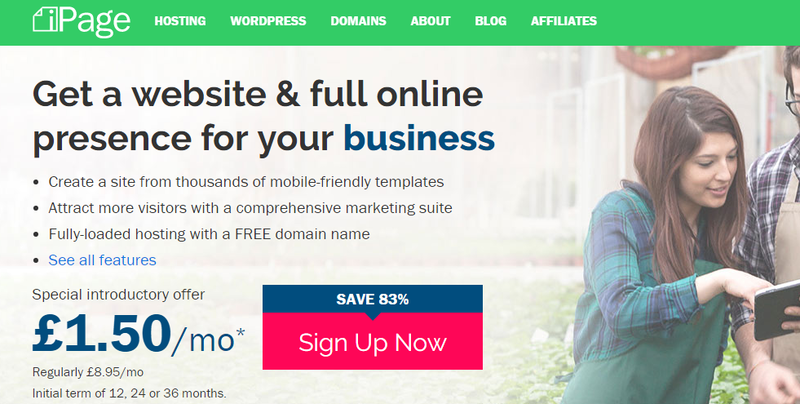 So if you want a new website with your own domain name, head over to SiteBuilder and check out their free trial. Have you been looking for a website builder who provides real professional templates? Squarespace will undoubtedly catch your attention! It’s slick drag and drop builder makes creating a website or online store look too easy, but the truth is, it is easy. 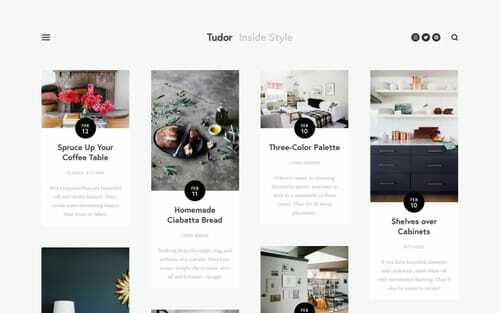 If you’re into design like me, SquareSpace is a great option. As well as their stunning templates, you can edit the HTML and CSS of said templates to make them your own. Even if you’re not familiar with coding, this could be your chance to give it a go! To further aid in customising your website, SquareSpace gives you access to over 1000 Typekit fonts, and over 600 Google fonts. This means you can really make your website stand out. I love playing around with different designs and fonts to create something truly unique. Although Squarespace may be a little pricier than its competitors, I don’t feel this would put me off. Their easy to use platform makes creating a website an absolute joy, even if you have no coding experience. Diving deeper into one of the more niche markets, Strikingly is a website builder that focuses on one page websites. The idea is that users, especially those on mobile, are able to access one page to gain all the information they need, making for a better user experience. I’d recommend Strikingly to those who are keen to get their website built in a matter of hours at an affordable cost. But, if you want a full-blown online store, this website builder won’t be suited to you. For those of you who are simply interested in creating an online store, Shopify is my recommended eCommerce website builder. It’s active user base of over 1 million displays a level of confidence in what it offers. Shopify’s all-in-one solution means you can get everything to run your online store in one place. Shopify is entirely hassle free and has all the features you’ll need to setup your online store. What’s more, you can integrate it with WordPress too – fancy! You may have seen on my iPage review that this web host actually comes with its own in-house website builder. You’ll have access to a limited version of the builder with your hosting account so it’s definitely worth taking a look at. With over 100+ mobile responsive templates, you’d be surprised at what it can offer at such an affordable price. An ideal solution if you’re interested in creating a starter website. WordPress.com (not to be confused with WordPress.org) is a web hosting service. But, it uses the same WordPress software as you might be familiar with. Users have the option to choose from free or paid plans, with access to hundreds of popular WordPress themes. I think WordPress.com is versatile enough to cater for all user markets; beginners and experts alike, from small personal blogs to up and coming online stores. Another web host whose services come with a website builder is GoDaddy. Their builder is included in all of their hosting plans, giving you easy access to a simple and professional tool. If you want to work on your website on the go, you can actually do this from your phone or tablet. For users who want to host and build a simple website, GoDaddy is a great and affordable choice. I’ve touched on this very briefly, but I want to explore this in a little more detail. Web developers still exist – there will always be a need for them because not everyone has the time to invest into alternatives. The issue for most people (the likes of you and I) is that hiring a web developer can cost upwards of £1000. And, the costs don’t stop there. If you require changes to your website in the future, you’ll either need to pay your original developer for more time, or hire freelancers on a fixed or hourly rate basis. Website builders give people the freedom and flexibility to create stunning websites at a very affordable cost. In fact, lots of website builders offer free trials, or free plans altogether. It really doesn’t matter whether you’re building a personal website or a business website, users all around the world are jumping on the website builder train. It’s all about exploring the perfect website builder for your own needs; hopefully, I can help you with this. In honesty, that probably covers a lot of users, and that’s why I highly rate website builders. I think more and more people are starting their own small businesses now than they ever were before. Why? Most likely because they can start a small business without the worry of how much a website is going to cost to build or start.